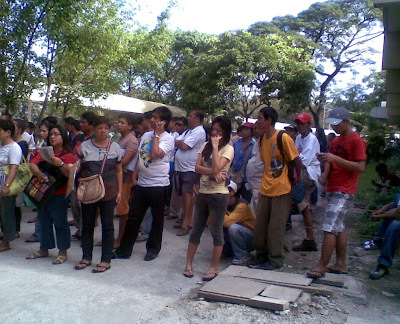 How To Apply for a Hearing Aid from PCSO: Part 3 | To Be, To Be. Tutubi. This is an update on my posts on how to apply for a hearing aid from PCSO. Part 1 was about the initial steps and requirements; another post was about the list of accredited hearing aid centers and part 2 was an update before the interview on November 4. 1. Prepare the letters, visit the hearing aid center and submit to PCSO. 2. PCSO gives us referral letter to UST. 3. Before schedule at UST, was told to prepare 3 audiological reports and 3 quotations. 4. Went to 2 more hearing aid center. 5. Went to UST for consultation. 6. UST gives recommendation letter for PCSO. 7. Submit UST letter and audiological reports and quotations to PCSO. 8. PCSO gives schedule of interview on November 4. 9. Come back for an interview and was told to return a week after for the release of guarantee letter. 10. 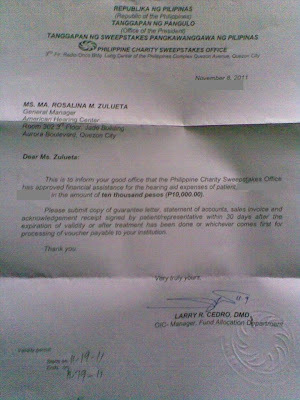 The guarantee letter for the hearing aid center was given. The picture below was taken last week. You can see that there were so many people asking for medical assistance and some of them have no more seat. My sister leaves the house at 430 am so she can be there before the cut off time I think of 6am, otherwise you may be advised to go back the following day. She said that you will submit your documents at the window and then wait for your name to be called. She usually spends the more than half of the day at the PCSO in Lung Center. 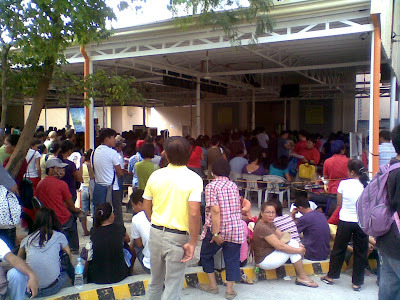 More people hoping to get medical assistance. 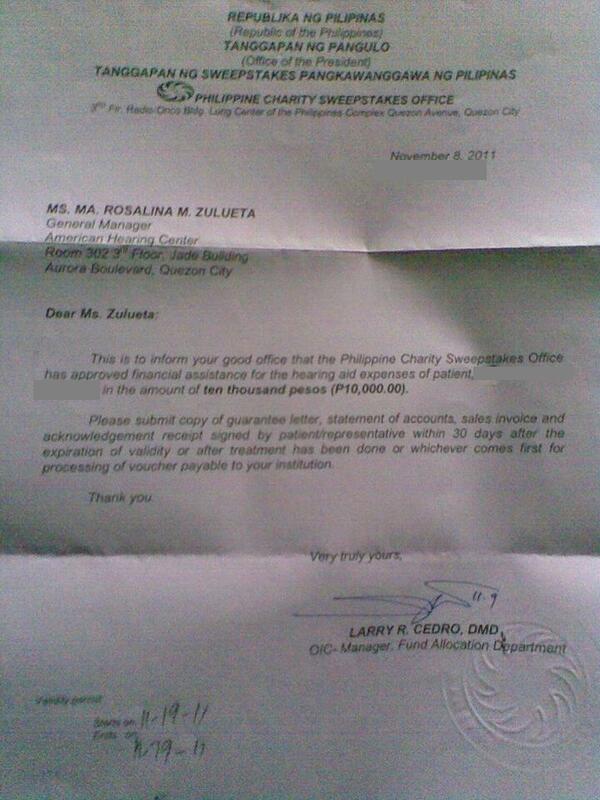 And this is the guarantee letter for P10,000 that was given for my mother. A pair of hearing aid at American Hearing Center for indigents cost around P17,000 so we might get only one and use the remaining money for batteries. We will go to the hearing aid center tomorrow and will blog about what happens next. This is really a big help to us and I hope that those who need to apply for a hearing aid assistance at PCSO will find this post helpful as well. San po pwedeng kumuha ng quotation? salamat p0 d2. di p0 ba mahirap magasikaso n2. kc matanda lola k0. may alam p0 ba kaung mura lang?